A High Speed Door used in a freezer application is purely for temperature control, using a specialised two-curtain design system. ENERCO is an established market leader in the supply and installation of all types of HIGH SPEED DOORS to the industrial and commercial sector. 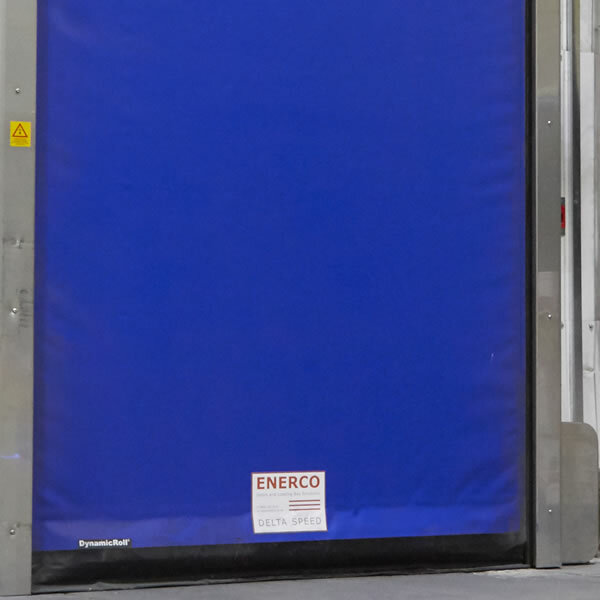 We can provide HIGH SPEED DOORS that enclose, partition and protect any room or building involved in the storage, processing or application of chilled or frozen products. We understand that these cold store environments are highly regulated and require technology that can ensure continuous and uninterrupted use.